4.3, where have you bean? If there's one thing we can be pretty confident of in this world of claims and rumours it's that Android 4.3 isn't far away. 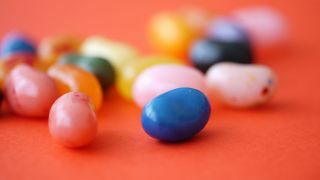 The new Jelly Bean version can't help but teasing its face, and now it seems to be fully out in the open, having leaked on a Nexus 4 sold by a member of Google's staff. A screenshot showing the new update was posted by Jeff Williams, purchaser of the handset, on Google+. After a fair amount of scrutinisation, the Android community agreed that this was the real deal, and helped Jeff to create a system dump of the OS. and running. New features include an updated 4.2.3 version of the Play Store. If you're a Nexus 4 owner you can go and download 4.3 right now, although the current build is currently missing the radio. Other than that, it looks like this is the full deal. Google has a press event scheduled for July 24, and we wouldn't be surprised if this will be where 4.3 goes official. We've also been hearing rumblings that the Samsung Galaxy S3 and Note 2 will be skipping over Android 4.2.2 and straight to 4.3.